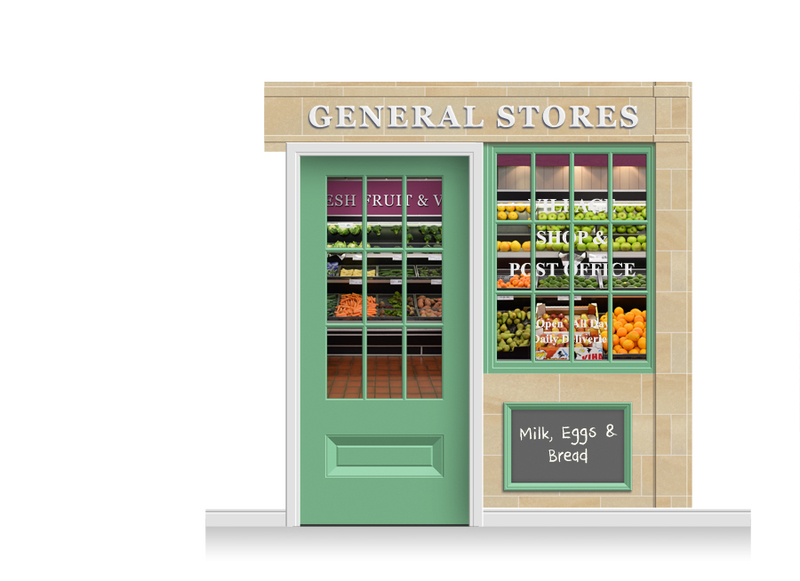 This Shop Front, here configured as a General Stores, is modular in design, and may be configured to represent any type of shop or hostelry to suit your purpose. Please view the How To Customise Tab to see how you may personalise your mural. This Shop Front comprises two drops of wallpaper (one above the door and one to the side) and a Door Print. 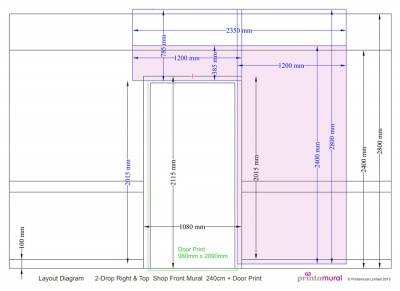 It is designed to fit around a standard size door frame, and at 240cm high, it is intended for walls under 280cm high. View the Details Tab for more information.